You may be misled by the simple and minimalist style of the latest furniture IKEA is supplying to some stores in America. In fact, behind the common look lies the future of furniture and home design – integrated cutting edge technology which help charge mobile devices, such as mobile phones, the central element of our day to day life. The first benefit is losing all the wires that are both unaesthetic and uncomfortable in handling. In return, the new furniture has built-in charging pads. You just need to set your phone or tablet down on a flat surface and recharge it without having to find an outlet or untangle a cord. The technology has already been successfully tested in restaurants and cafés across Europe and America. 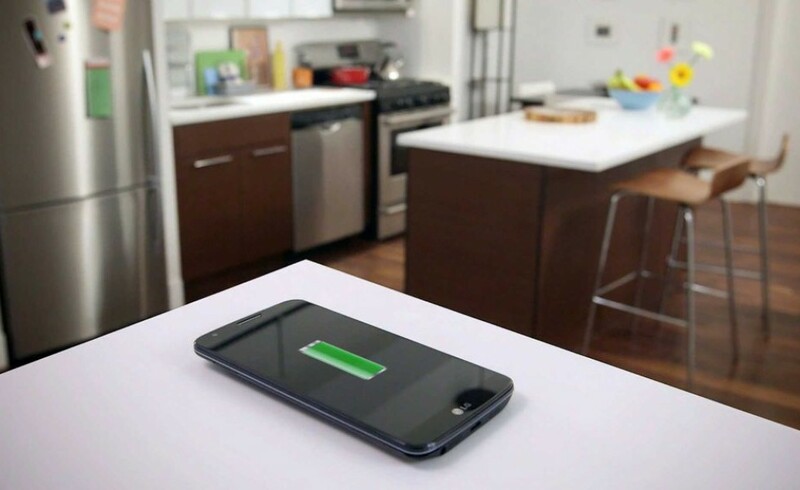 Most wireless charging works through electromagnetic induction; magnetic transmitters and receivers transfer power a short distance through a flat surface. But now, the next stop of the cutting edge technology could be your living room. The South-Korean LG Hausys TechTop, a wireless charging countertop, won Best of Show this year at the Kitchen and Bath Industry Show, an annual convention that spotlights industry trends, according to Houston Chronicle. TechTop was designed primarily for hotels, restaurants and coffee shops as a way to give customers a battery boost without adding electrical outlets. Other companies, such as Schlotzsky’s, plans to offer TechTop charging in sandwich shops nationwide. As specialists in the housing industry have started showing more interest in the new technology, the inventors of TechTop realized the potential the technology has by integrating it in home furniture. The basic point was to give people a charging center on the kitchen counter, where they usually put their phones anyway, experts say. At this point, TechTop is optimized to charge smartphones as powerful as up to 5 watts. But the South-Korean company says it is working on expanding the technology so that eventually laptops could be charged this way. Home designers have already gave the technology a warm welcome. Since the interior design is evolving to best answer human needs, by offering them more space and practical solutions for various problems, the phone charging furniture comes to complete this trend and is just round the corner.